An amazing £6863.05 was raised at our recent fundraising dinner, and this money will make a huge difference to the development of our partner projects in Africa. 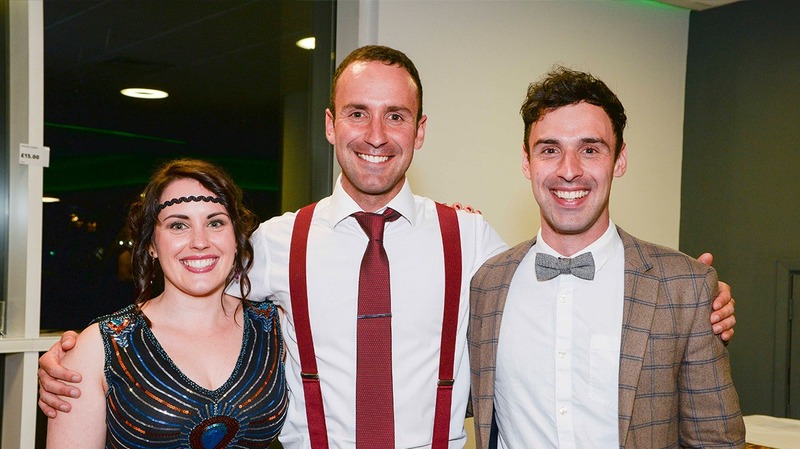 With £22,000 raised from the two previous events, the third African Adventures Foundation fundraising dinner had a lot to live up to and it certainly didn’t disappoint. Held on Saturday 6th May at St Mary’s Stadium, the fundraising dinner was attended by a mixture of volunteers, supporters, friends and family, and had a fantastic atmosphere. Everyone fully embraced the 1920’s theme, and there were some incredible outfits sported on the night, not to mention some excellent music and singing provided by Holly de Villier. Included as part of the evening’s entertainment, guests were treated to a lovely three-course meal along with a luxury raffle and silent auction, with prizes such as wine tours available to win and even an African Adventures trip up for grabs for the right price. Ever present throughout the event were reminders as to why the money raised was so important to African Adventures Foundation. A big portion of the amount raised will help to complete the construction of The Walk Centre Primary School; a huge project to deliver a continued, quality education for thousands of children in Kenya over the coming years. We were blown away by the generosity of many to help make this dream a reality and we want to thank everyone who attended the dinner and contributed to our final total. We hope you enjoy looking at the pictures from the night!